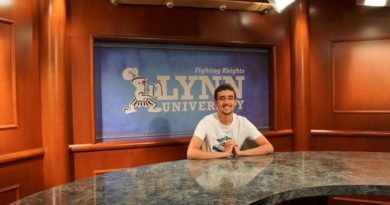 Recently, Lynn students have come together to generate action and build awareness regarding the ongoing national debt crisis and other fiscal issues in America with the Up to Us competition. Five students, Wainright Acquoi, James Okina, Lauryn Harris, Salma Moran and Reagan Fox have spearheaded the initiative which is also led by Watson as the faculty supervisor. 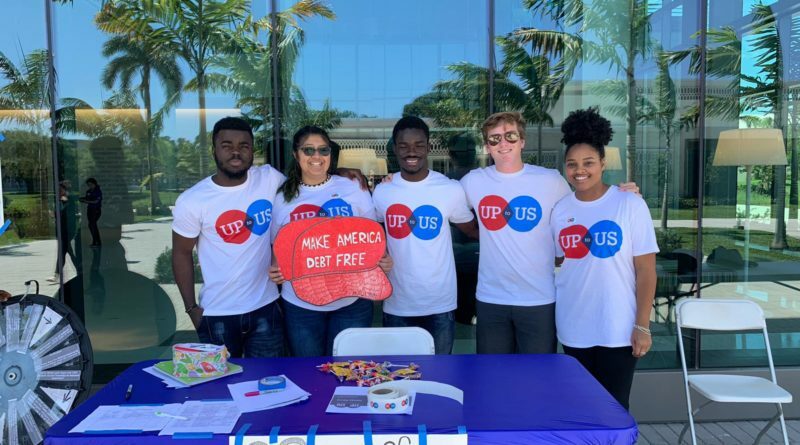 These students have planned and executed multiple on campus events in an effort to not only educate students, but also to collect 350 pledges promising to take action against the national debt. Acquoi, the team lead, had the opportunity to attend the Up to Us training in Oakland, Calif. in March where he had the opportunity to connect with other students leaders across America and learn about the program.